On April 12, 2012, Philip Humber (who had never pitched through a full eight innings of a major league outing) pitched a perfect game. That is, he retired 27 batters in a row, three up and three down, every inning for nine innings. No walks, no hits. Only eighteen other men in the 108-year history of Major League Baseball have accomplished the feat. In November of that same year, the White Sox cut him, making him available to any team in the league. What happened? In an interview with Sports Illustrated's Albert Chen (December 31, 2012), Humber tried to explain it. 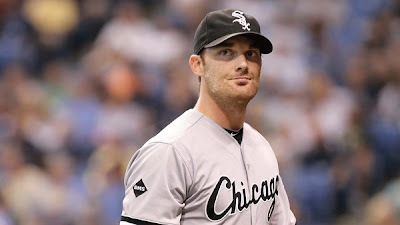 Check out how the article is subtitled: "For one magical April afternoon, Philip Humber was flawless. But that random smile from the pitching gods came with a heavy burden: the pressure to live up to a standard no one can meet." Unfortunately, though whichever editor wrote that subtitle is ultimately correct, we use examples like Humber's to delude ourselves. "But he did throw a perfect game," we say. "Perfection is possible." Our desire to be perfect is so strong that we willfully ignore the headline's larger point: that true perfection in only achieved by throwing a perfect game again. And again. And again. The ladder of perfection has no top rung. There is no platform upon which we can finally rest. Whether our goal is to be a good father, a good Christian, or a good pitcher, each exemplary act carries with it the expectation (the requirement) of another. And another. "Being like Christ" is not like throwing a perfect game. Living up to the Sermon on the Mount is not like throwing a perfect game. Being a caring husband is not like throwing a perfect game. They are like throwing perfect games every day of your life...while never being proud of the fact that you're throwing perfect games! Remember, don't let your left hand know what your right hand is doing (Matt 6:3). A perfect game in the game of life is impossible, but is required nonetheless (Matt 5:48). So we buckle down. Every time Humber took the mound, he tried to be the pitcher he was in Seattle-but competence seemed unattainable, much less perfection. In his next start, he allowed nine runs in five innings. Two outings later he was bombed for eight runs in 2 1/3 innings. Every time he fell short of the new standard he set for himself, he pushed himself harder. He began spending more time than ever in the video room. He played with every imaginable grip for his pitches. He threw extra bullpen sessions. He ran more, lifted more. He asked teammates how they dealt with their struggles. He couldn't understand why he couldn't recapture the magic. "I just feel lost," Humber said to [pitching coach Don] Cooper at one point. "I don't know what I'm doing out there." Is this the end? The beginning? 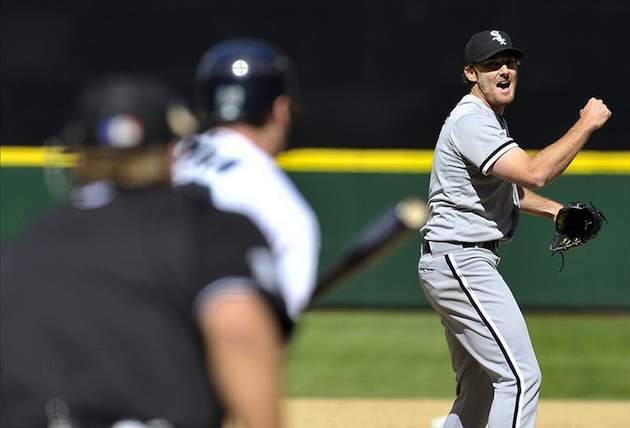 Philip Humber doesn't know what will come next in his baseball story. This he knows: He's done chasing perfection. He's done trying to be the pitcher with the magical fastball and the unhittable slider. He knows he's a 30-year-old pitcher with a fading heater and a curveball that doesn't bite like it once did, and he accepts that. He also thinks that he's a wiser pitcher who can still win games for a major league team. "Next time I throw a perfect game," he likes to joke, "I'll know how to handle it better." Philip Humber came to grips with his limitations...the truth about himself. He's been signed by his hometown Houston Astros for next season and seems to know that, in order to be a good pitcher, he has to let perfection go. Let's remind ourselves daily, hourly, and by the minute, that we can let perfection go, because it is a mantle that Christ has taken up for us. As usual, Nick, good lesson in life for us all!